Baked with quality ingredients, including coconut oil and pea protein — so they’re totally vegan-friendly — each one of these cookies is also sprinkled with dark chocolate chunks. They’ll help to keep your training regime interesting and are great for on the go, providing a hit of protein without any meal prep. When to enjoy Baked Protein Cookie? What to enjoy Baked Protein Cookie with? To top up on even more protein, add our number one best-selling Impact Whey Protein — super-important whatever your goals. For allergens, see ingredients highlighted in bold. May also contain nuts and peanuts. 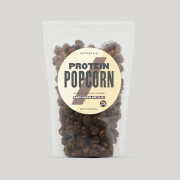 Wheat Flour, Unrefined Brown Sugar, Oat Syrup, Vegetable Glycerine, Glutamine Peptides (Hydrolysed Wheat Protein), Dark Chocolate Chips (9%) (Cocoa Mass, Sugar, Emulsifier [Soy Lecithin], Natural Flavouring), Cocoa Powder, Pea Protein, Olive Oil, Soy Protein, Stabiliser (Gum Acacia), Coconut Oil, Water, Raising Agent (Sodium Bicarbonate), Flavouring, Salt. Individual chocolate flavoured high protein baked cookie with sugar and sweetener. The new recipe is terrible. The nutrition is awful. You'd be better off eating some regular cookies. I asked their customer service why this was changed, and they claimed that this is a cookie for bulking. Low protein, high sugar. The new recipe for building muscle...apparently. The previous cookies were SO good both nutritionally and in taste. I want those back. This has waaaayyy too much sugar and in my opinion also makes the taste less good. Same as other reviewers, taste is fine, but nutritionally terrible. More sugar than protein, half the protein than previously. BRING BACK THE ORIGINAL RECIPE. These are not good nutritionally when you compare with the old cookie or the protein brownies. Bring back the old products. These cookies are amazing. Super chocolatey and a nice amount of calories of your a little low for the day. I like to keep them in the fridge to make them a bit firmer. Highly recommended. Soy Milk, Almond Milk, really any kind of milk that you prefer. I was a faithful customer due to the previous 37g cookies - the macros on those were nuts! Now that they're not available, I'm taking my business elsewhere. Sorry! These used to be my go to snack between meals. 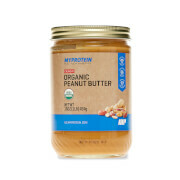 They used to have nearly 40g of protein and less than 10g sugar. All they did with this terrible new recipe is add a bunch of fats and sugar in place of the protein! If someone wanted a cookie with slightly higher protein content than average, they would just go to the health food section of the grocery store. 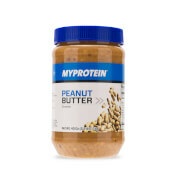 That’s not why we shop at MyProtein. We want the best products for our fitness goals. That’s NOT what this is. Cut your losses and drop this subpar product and bring back the old recipe! I liked having a high protein option. Like others have said, this is basically just a regular cookie that is slightly healthier than normal. These cookies taste excellent, but the nutrition profile is not consistent with other products from MyProtein. You can get cookies with similar taste and nutrition profiles from Lenny and Larry and similar brands, and those are available cheaper and in more varieties with similar taste. I hope that MyProtein brings back the high protein (37 gram) variant in White Chocolare Almond and Rocky Road. Right off the bat I want to say that while the macros aren't the best in general it still is VERY FAIR as a decent macro treat & compares super well to the competition. Couldn't even tell that these cookies had that much protein in them because they tasted so good. Personally, I really enjoy them. It's a better alternative to a brownie or chips imo, so that's how I think of it. Definitely need to get more soon! Any other of the myprotein snacks. They're all good. But this works well alone too as just an on the go treat!